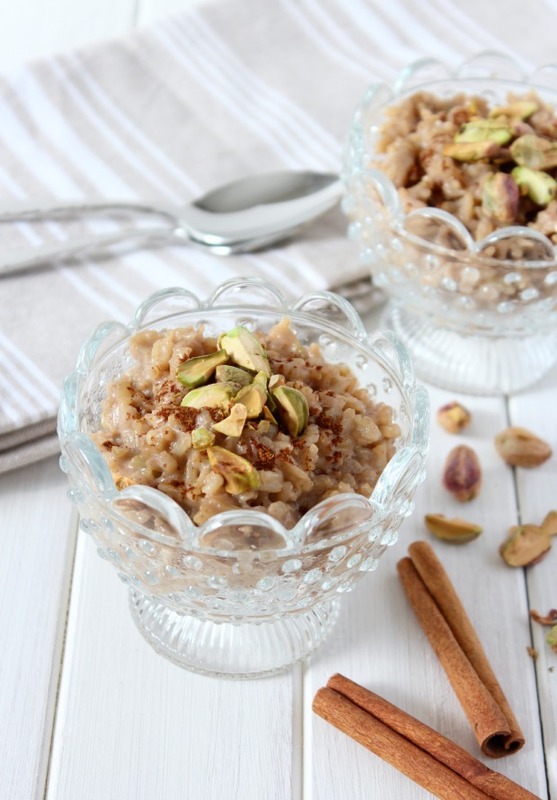 Make this healthy and hearty brown rice pudding recipe with delicious notes of chai spiced tea and coconut milk. So yummy! 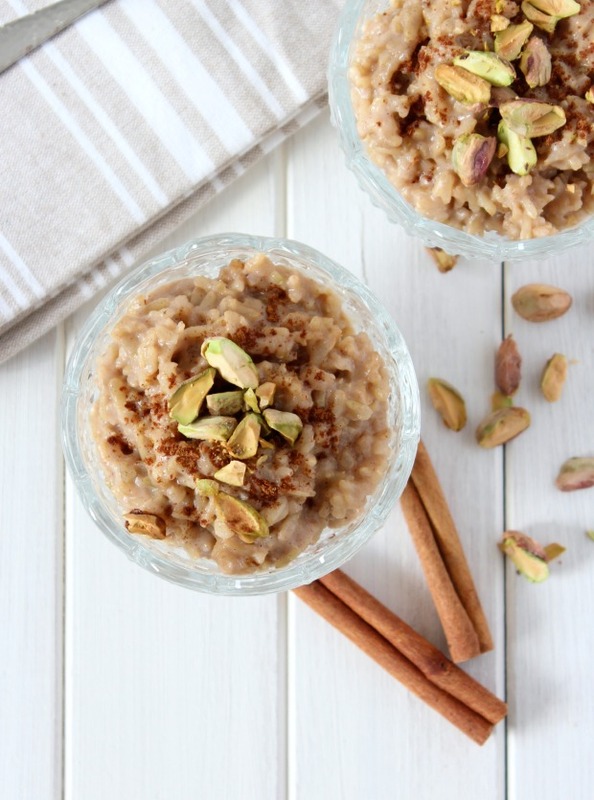 Spring may be around the corner, but I’m still craving hearty dishes like brown rice pudding. A while back, I heard about a restaurant in New York city that only serves rice pudding. Say what? It’s on my list of things to do when I finally make it there. Hopefully I have an easier time making a selection than I did at Butter Baked Goods in Vancouver. I mean, how can you chose between scratch-made cupcakes and nanaimo bars and whoopie pies? Good thing my husband was there to make a decision on behalf of both of us… holy moly! 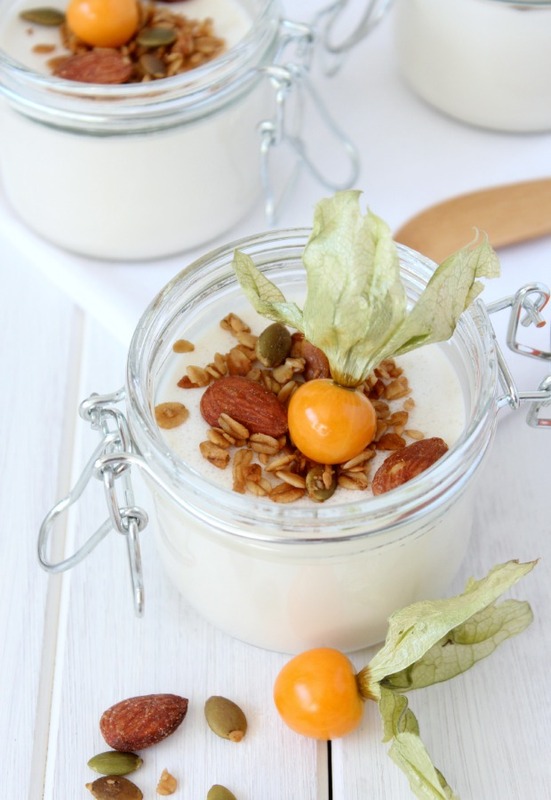 If you’ve only ever eaten traditional white rice pudding, you’re in for a treat. This one’s a bit different with notes of chai spiced tea and coconut milk. So creamy and delish! 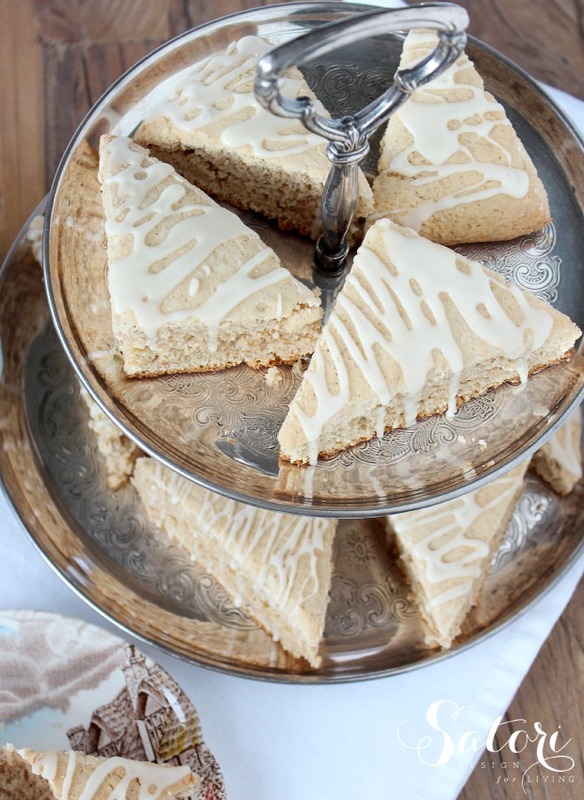 It’s a healthier version too, since it’s made with brown rice and sweetened with a bit of honey instead of refined sugar. And the cinnamon has all kinds of goodness as you probably already know. So, go ahead and have a bowl (maybe even for breakfast)! 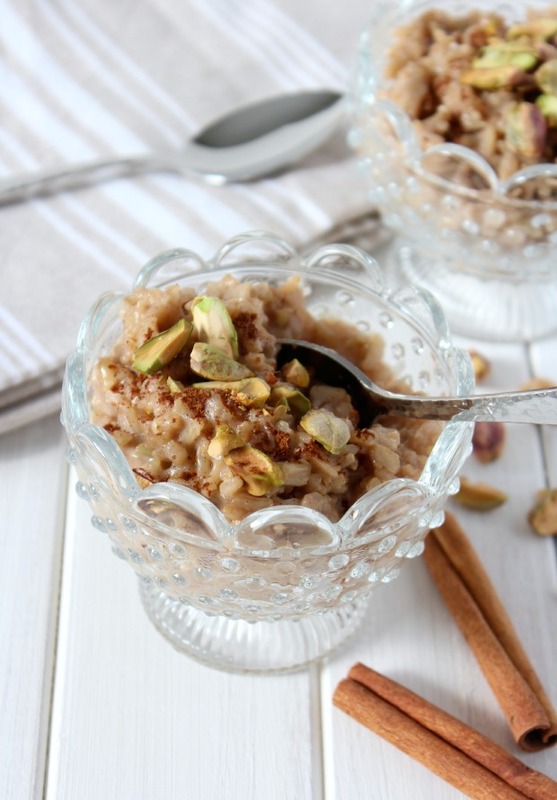 A healthy and hearty brown rice pudding recipe with delicious notes of chai spiced tea and coconut milk. Add water and milk to a pot over medium-low heat. Warm for 2-3 minutes, then add chai tea bags and steep for 7 minutes, stirring occasionally. Remove tea bags (squeeze out excess liquid into the pot) and stir in salt and rice. Turn up heat to medium and bring to a low boil, stirring occasionally. Reduce heat to low, cover and let simmer for 20 minutes, stirring occasionally (adjust heat as necessary to prevent bottom from burning). Add honey, nutmeg, cardamom, cinnamon stick and coconut milk. Turn up heat to medium and stir until well combined and mixture just comes to a boil. Turn down heat to low, cover and let simmer for 20-30 minutes, stirring occasionally. Turn off heat and allow pudding to sit covered for 20-30 minutes. Before serving, remove cinnamon stick and stir to combine. Garnish with toasted pistachios for a bit of crunch and a sprinkle of ground cinnamon. We like ours with a bit of half and half on top too. What’s the craziest rice pudding you’ve ever tried? Do you like it simple or are you intrigued by different flavours like I am? Crazy for chai? Check out these recipes too! 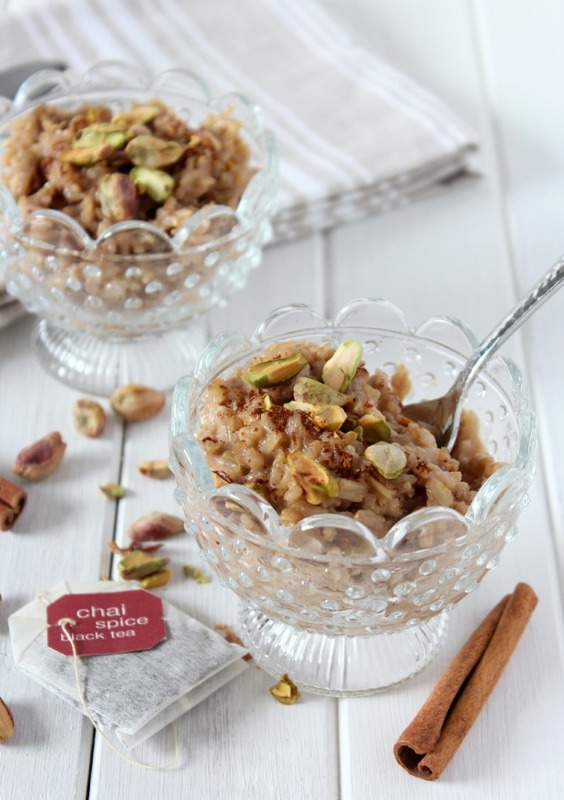 Chai and me go hand in hand, and this rice pudding spiced in Chai fashion has my undivided attention. Will also have to check out this place in New York that sees all rice pudding. It’s on my bucket list along with this Chai rice pudding. Oh, yes, I’ve heard of that place and want to get there some day too. Looks so good! Privacy & cookie policies, plus full disclosure of advertising, affiliate links, copyright information and more can be found here. This website contains affiliate links. Never miss a thing. Get weekly updates!